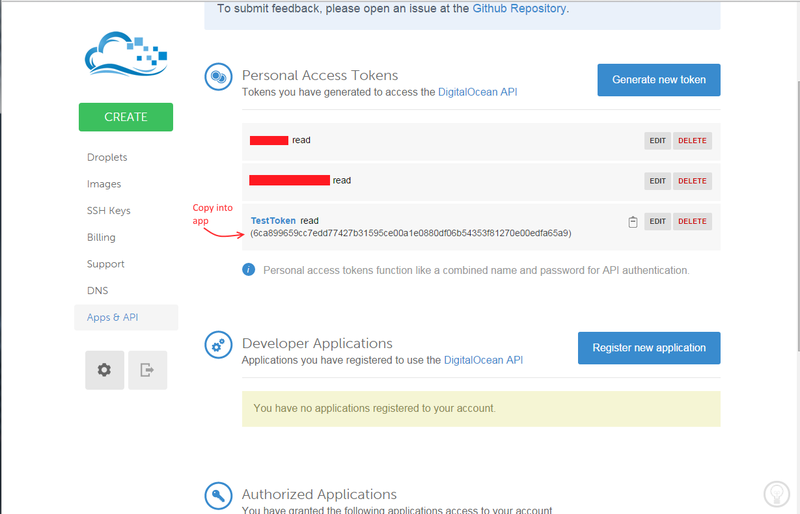 An authorization token is required when connecting to Digital Ocean through a third-party app. The token is used in the header tag of the connection to verify that you’ve authorized the connection. 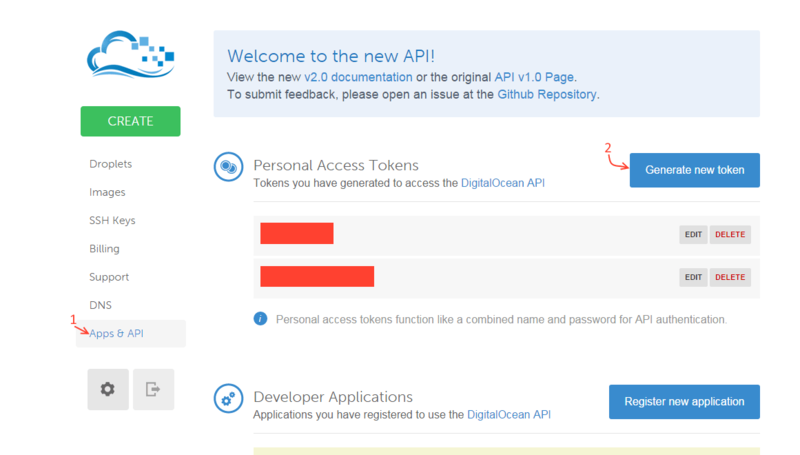 Then click on the Apps & API (1) link and go to the Generate new token (2) button. 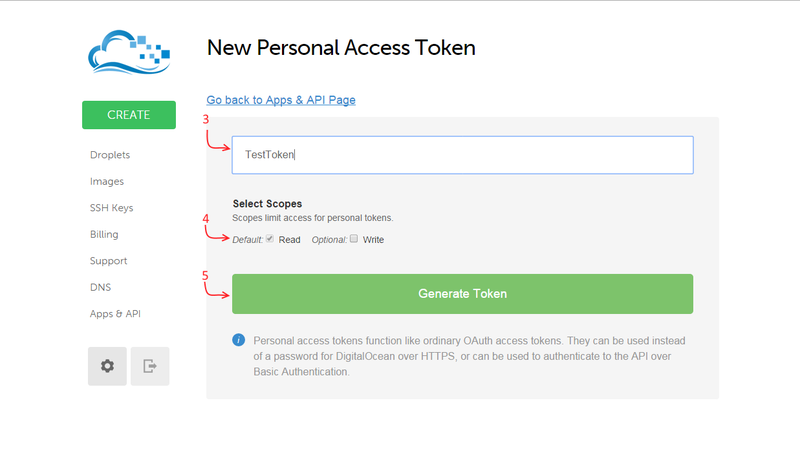 After clicking on the Apps & API link, you’ll get to New Personal Access Token page. First enter a token name (3) – I have TestToken in the example below. Then select the access level (4), read is recommended unless you want the app you are authorizing to edit droplets and settings in your account. Finally, click on Generate Token (5) to generate your token. Clicking Generate Token will take you back to the Personal Access tokens page. At this point you’ll be presentated with the token. Copy this token to a safe place. You will only see it once. Use the delete button to delete the token.